Program GCL designed for optical character recognition, scientific graphics. 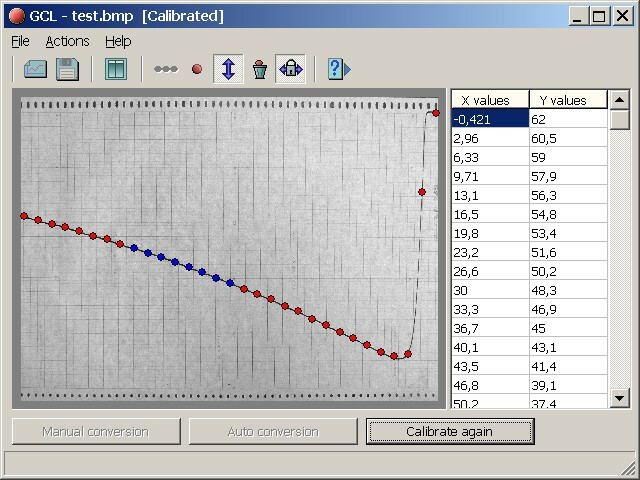 Graph Converter Lite recognizes graphs from BMP files in a manual or automatic mode. The result of the program is a table of meanings X- and Y-coordinate of the graph's points. The table can be saved to a text file with space as a delimiter. There is also opportunity of table export to MS Excel. All Windows operating systems support Graph Converter Lite, beginning from Windows 95 (including Windows Vista).